Tuesday, March 12, 2019 | 8:30 a.m. to 4:30 p.m. Many students have needs that make active participation difficult, especially in an integrated physical education setting. The challenge for educators is to meet the needs of all students with an effective PE program. The one-day Adapted PE Conference offers teachers hands-on training and strategies to implement immediately into a physical education program. Educators will leave better equipped to address student’s needs that may include movement delays or difficulties, physical or neurological disabilities, health and physical factors, social-emotional disorders, behavior difficulties or cognitive delays. Attendees will learn skills from the perspective of adaptive specialists as well as practical steps for launching an adapted PE program. Please contact online@nwciowa.edu or 712-707-7388 with any questions or to inquire about late registration. Why do we settle for “Good Enough” when we serve a God who came to give us “Life with Abundance?” Physical education and sport present the unique opportunity to learn lessons of confidence, discipline and body stewardship that extends beyond a student’s time in school. Through the story of The Miracle League of Sioux City, learn how to use your influence to empower even your most challenging students to reach their potential. Do you wonder what to do with students in adapted physical education and in general physical education who don’t respond to traditional teaching strategies? Participants will be provided with strategies to facilitate learning for ALL students. Take away strategies for communication, equipment adaptation, and assessment to meet national/state physical education standards will also be discussed. This hands-on session will build on Dr. Tarr's first session to provide practical tools and strategies to implement immediately into any PE program. After attending last year’s Adapted PE conference, we set out to more intentionally meet the physical, mental and social needs of our elementary students who find the PE classroom to be an overwhelming place. Creating a mentoring program allowed those students to participate through exercise and play with a high school student mentor and more fully gain the benefits of physical exercise. Learn from our experience to better understand why an Adapted PE program is so important and how to begin one in collaboration with your school, students and teachers. In the education world, we often hear phrases like “meeting the needs of all students”, or some variation of that. With our most vulnerable and often fragile students, I believe there is more that not only can be done, but should be done. In this session, I will talk about my school, Spalding Park Elementary, and my approach/belief to teaching Adaptive Physical Education. Discussion items will include: peer helpers, building parent relationships, outside agency collaboration, IEP’s, and so much more. In a time of collaboration with speakers and attendees, make your action plan with the key learnings from the day. Kevin Negaard is the founder and board president and of Miracle League of Sioux City, Iowa. A Rock Valley, Iowa, native, Kevin graduated from the University of Iowa with a degree in physical education. After college, he launched the Western Pennsylvania Sports Medicine Clinic and later worked 25 years at CNOS (Center for Neurosciences, Orthopedics & Spine) in Dakota Dunes, S.D. Kevin’s passion for baseball and individuals with disabilities began in his youth. After years of playing and coaching baseball, he combined the two passions in the Miracle League project in 2013, providing opportunities for active participation for all children. The Miracle League complex has grown to include a baseball field, playground and mini golf course. The organization will welcome more than 150 Miracle League players from around the world as the host for the 2019 International Miracle League All-Star weekend. Sue Tarr received her MA in adapted physical education from Kearney State College (NE) and her PhD from Texas Woman’s University in adapted physical education. 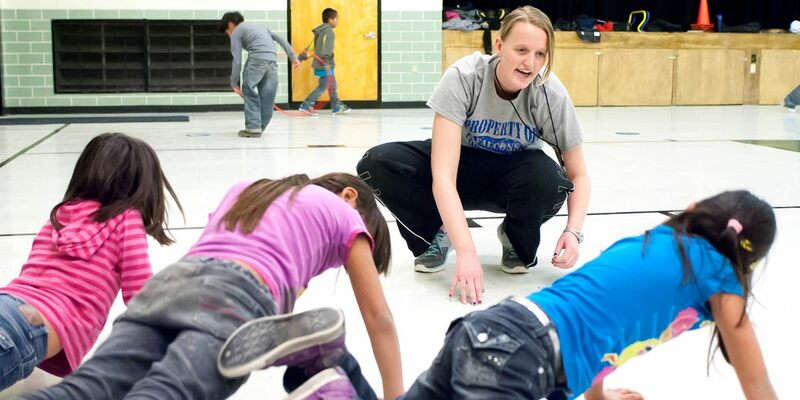 She has trained physical education and adapted physical education teacher education candidates for the past 25 years, mostly in Wisconsin and Minnesota. Greg Heemstra earned his BA in Education from Northwestern College and MA in HPER from the University of South Dakota. Greg has taught PE for 27 years with the Rock Valley School District and is currently teaching K-5 PE at the Elementary. He previously taught 5th grade for two years. After attending the 2018 Adapted PE Conference at Northwestern, he was inspired to launch his own program to better meet the physical, mental and social needs of his students. He will share his implementation process and discoveries through a first-year Mentoring PE program. Kyle Lewis earned his BA in K-12 Physical Education and Health from Northwestern College and his MA in Education Administration from the University of South Dakota. He also has a K-12 endorsement in ESL from Morningside College. Kyle has been teaching for 22 years in the Sioux City School District and for the past 19 years as an elementary physical education teacher. He spent his first three years teaching special education. In addition to teaching, Kyle has been a wrestling coach at the high school and college level for 22 years. He also serves on the board for the Miracle League of Sioux City, of which his daughter is a participant.